Youngsters who take up assignments as freelancers lament about how they are being taken for a ride when it comes to monetary compensation. 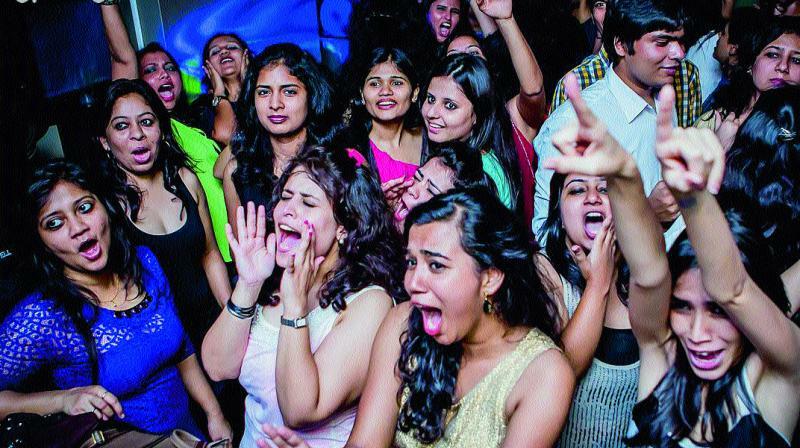 A file picture used for representational purposes only of city youth enjoying a concert for charity. You’ve put your blood and sweat into it and toiled hard, but at the end of the day, you don’t end up getting paid for your work. We won’t be surprised if this experience has left you exasperated and infuriated at the concerned party’s unprofessionalism. A number of youngsters from various professions have witnessed their hard work go down the drain, thanks to unethical behavior by those who wanted to avail their services for free. In fact, it seems like some kind of trend that is prevalent especially with freelancers. There are also those whose ‘friends’ and ‘relatives’ expect them to work for free. Youngsters who’ve faced such knotty situations share their stories with us. Architect Maanasa Vinay had a bitter experience when she was working on a plan for a ‘friend’. “They were renovating their house, for which I had given them two to three plan options. During the course of my work, I even did seven to eight site visits. But later on, they decided not to go ahead with the renovation, so they didn’t pay me. I was shocked because the concerned lady was a good friend of mine.” Maanasa was left utterly disappointed, especially because she had put in a lot of time, physically and mentally, to do the work. Consultants in different professions are often expected to share their knowledge for free. Musicians, photographers and freelancers too frequently face such incidents. Singer Chinmayi Sripada mentioned on Twitter that musicians get asked to sing/perform for free at times. Podcaster and multimedia consultant Chhavi Sachdev is often tongue-tied when it comes to dealing with such people. “I worked outside India for many years, so I have found it difficult to do business here. As a culture, we don’t like talking about money. People don’t like putting discussions into writing or signing a contract — they always have some excuse or the other. So, I’ve learnt to put everything in an email where I say, ‘If you don’t agree with me, please let me know,’” says Chhavi, who has had to deal with awkward situations.